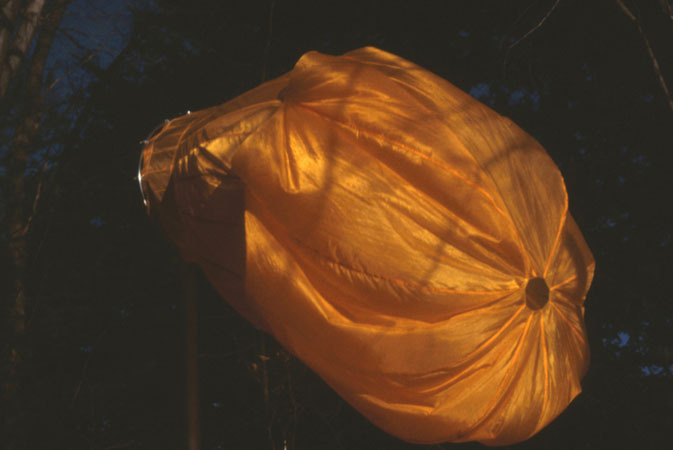 After leaving the National Film Board, when I was no longer animating full time, I started to create a different kind of movement: the movement of wind caught in fabric. 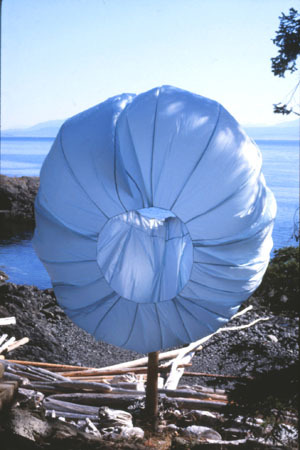 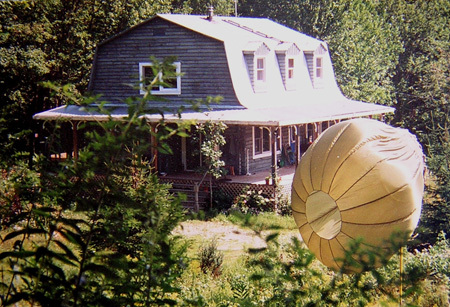 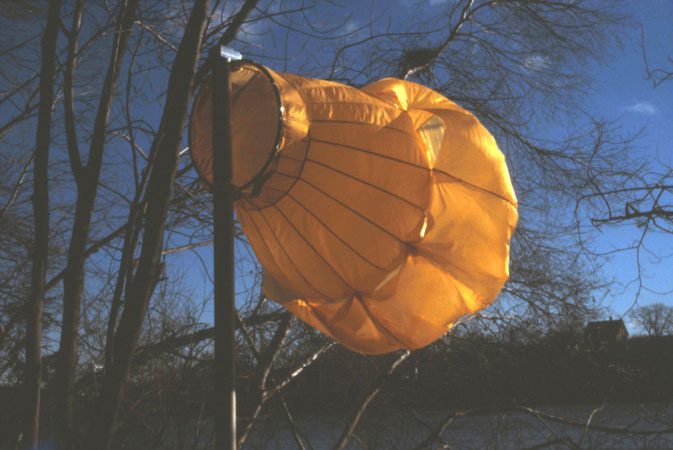 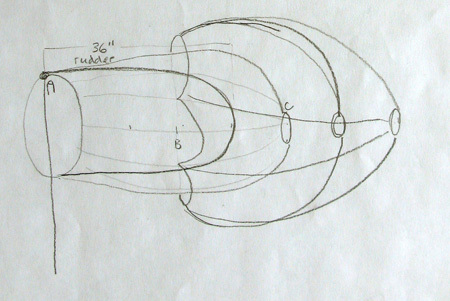 I constructed large wind blown sculptures and called them wind balloons. 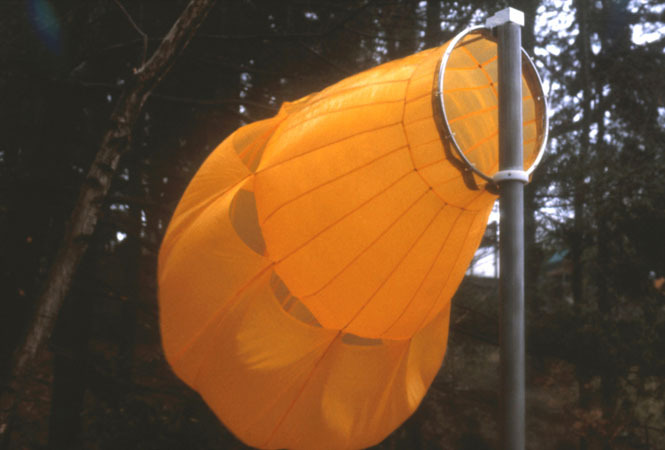 They are grounded and glorious windsocks, made of ripstop nylon, welded steel and titanium. 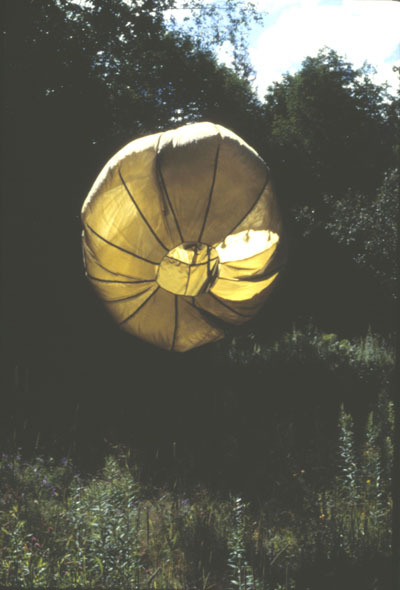 One balloon is mounted on a vaulting pole and bends in the wind like a giant flower. 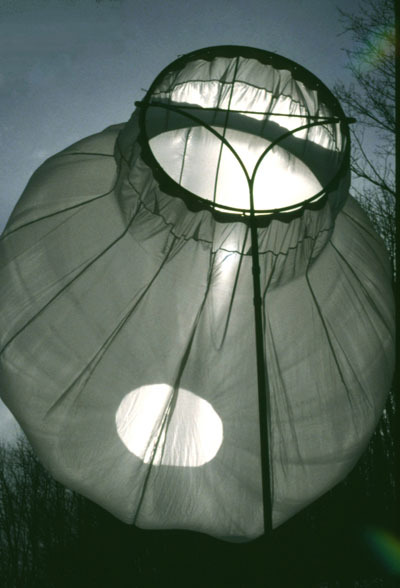 The mechanisms are designed with bushings to turn on a dime, catching the slightest breezes. 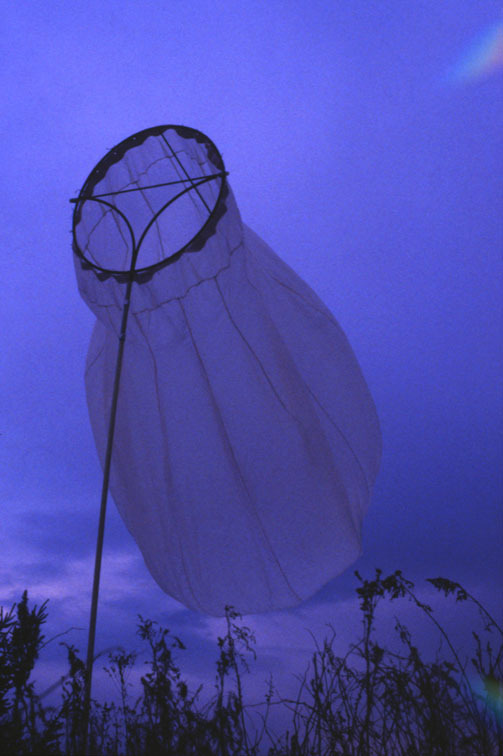 Situated in windy places, they are continuously in motion.